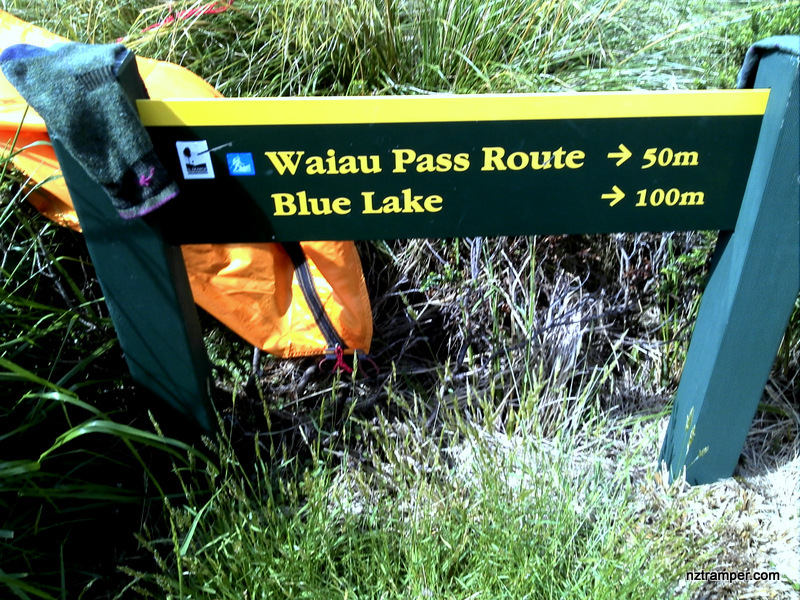 Trails: Upper Travers Hut – Travers Saddle Track – Travers Saddle – West Sabine Hut – Blue Lake Track – Blue Lake Hut – Waiau Pass Route – Lake Constance – retrace back to Blue Lake Hut. 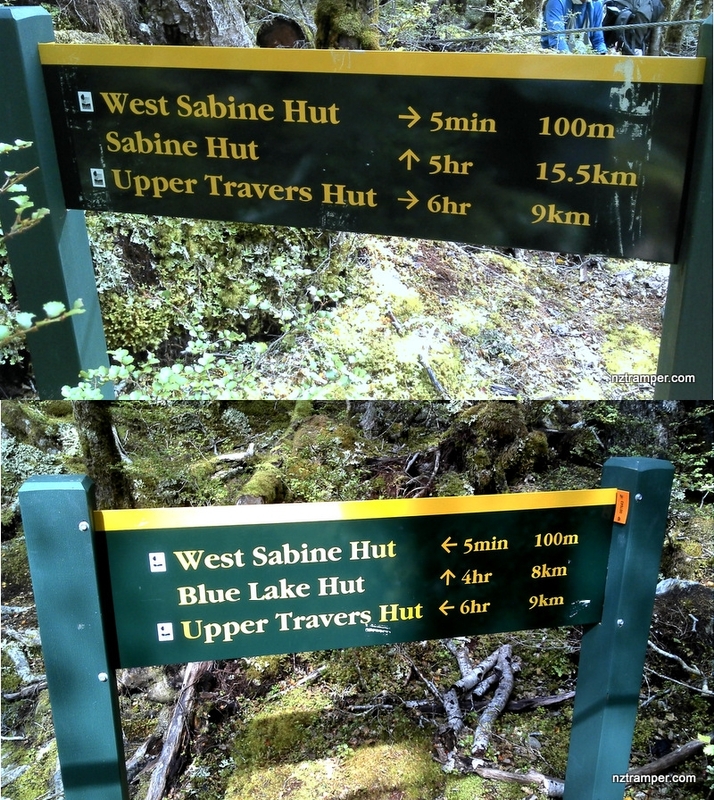 Day four of seven days Travers – Sabine Circuit plus Blue Lake in Nelson Lakes National Park. Note: Experienced trampers only! Upper Travers Hut may very cold when bad weather. River water is drinkable. 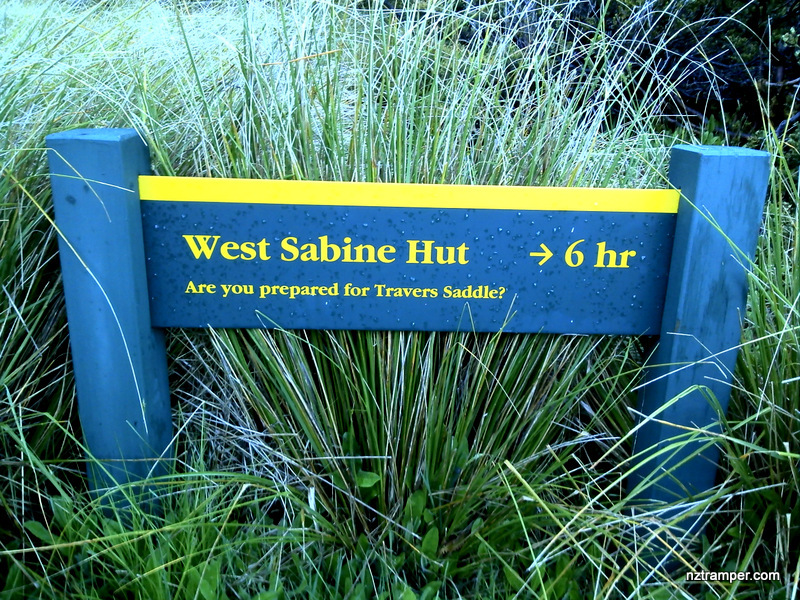 Travers Saddle was about zero Centigrade in the morning. 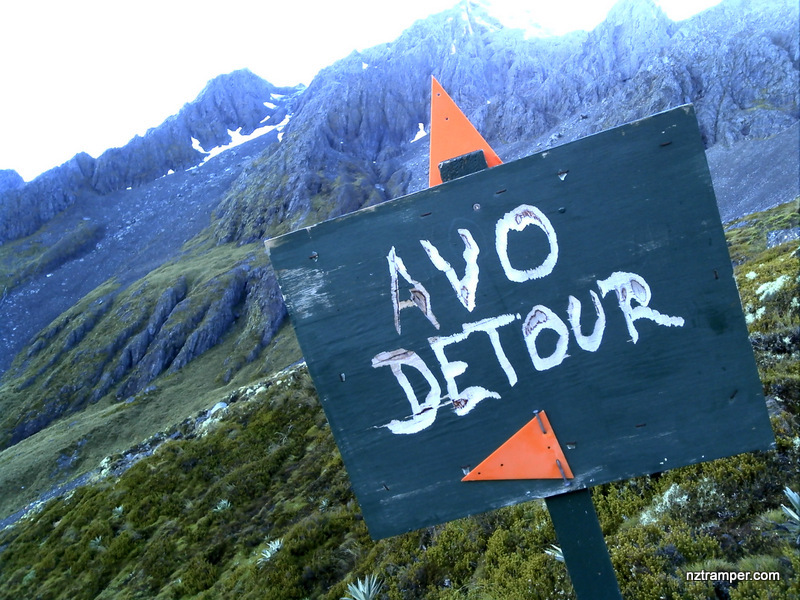 Car Park: No, Upper Travers Hut is accessible by foot only. The “Total Time” is my time in January which includes tea times, lunch time and breaks. That day was fine. 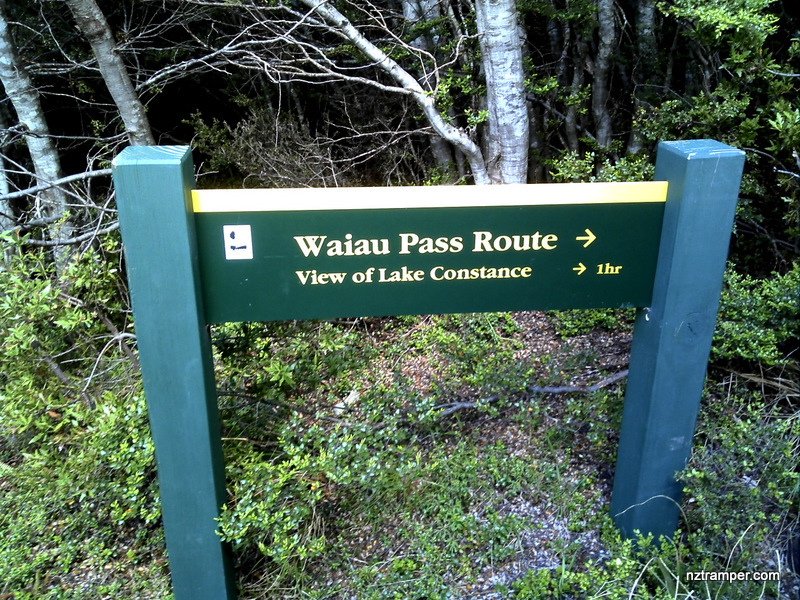 The tracks were wet and slippery and some sections were boggy. If you slow down to average 2.5 km/h plus 120 min stop then the total time will be around 9 h 45 min.